In our house, we have a predicament. I love mashed potatoes. Zack doesn’t. For this reason, I try to make them in as many different ways as possible in the hopes that I will find some that he loves. So far, no luck. However, I loved these. It takes forever to make them, but totally worth it in my opinion. They were so creamy and amazing! Give them a try if you are tired of the same ole mashed potatoes! Combine potatoes, onion and enough water to cover in a large saucepan. Bring to a boil over high heat. Reduce the heat to medium. Simmer until potatoes are tender; about 20 minutes; drain well. Preheat the oven to 350 degrees. Grease a 3-qt baking dish. 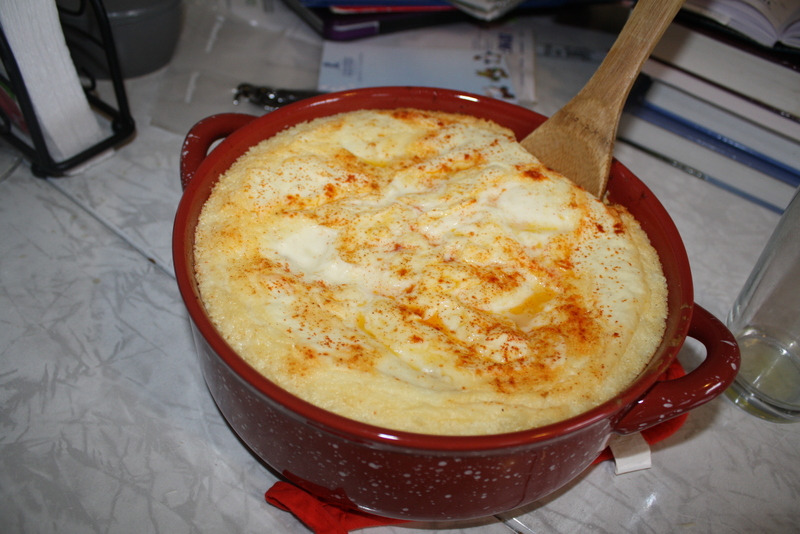 Combine potato mixture, cream cheese, butter, sour cream, egg, salt and black pepper in a large bowl. Beat with an electric mixer set at high speed until mixture is smooth. 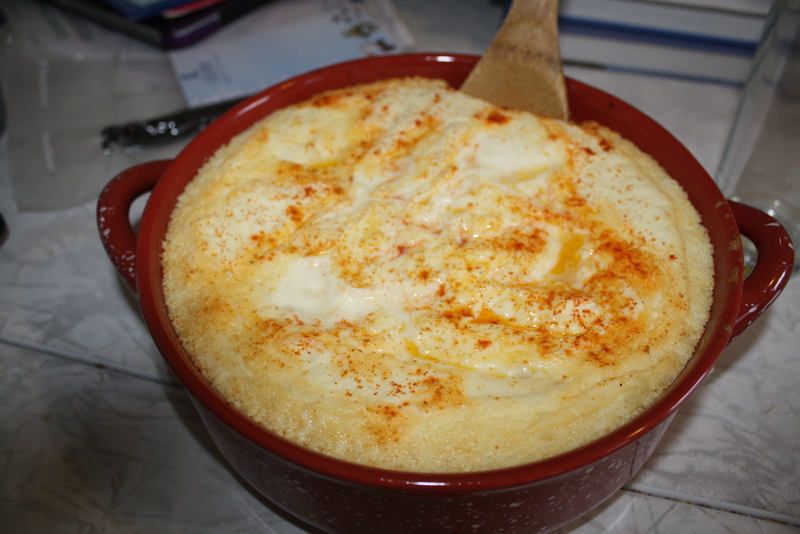 Spoon potato mixture into prepared baking dish. Sprinkle with paprika. Bake until heated through, about 30-35 minutes. Serve immediately. Potatoes may be prepared up to 2-3 days ahead and refrigerated, covered, until ready to bake. Great recipe. Can’t go wrong with potatoes. I’ll take a potato any way I can get it. Oooh, I make something very similar and you’re right…they are the BEST mashed potatoes EVER! Mine doesn’t have onion, but it does have garlic. Next time I make mashed potatoes, I may have to try this one! Thanks and have a GREAT week!